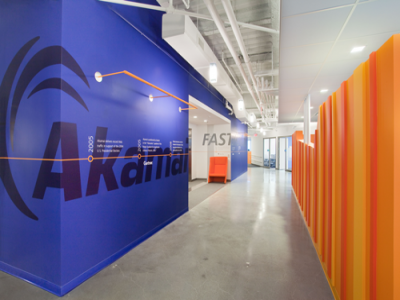 Akamai Technologies hired DPM for its extensive, multiphased renovation project at Four and Eight Cambridge Center in Cambridge, MA. 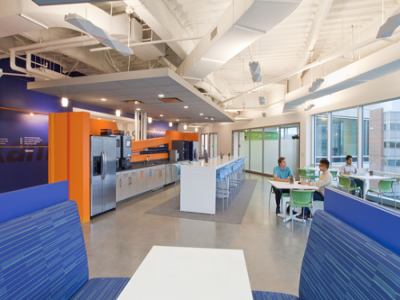 The project consisted of the demolition and reuse of some existing space, renovations including FF&E, elevator lobby upgrades and computer labs. 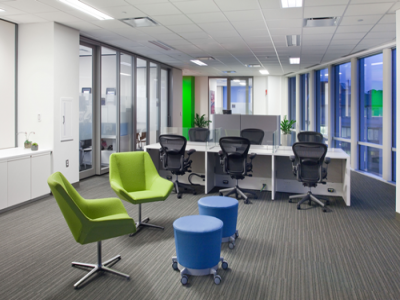 DPM’s role expanded to include pre-construction services including change management activities, landlord coordination, lease negotiation support, due diligence, preconstruction budget estimates and project schedules, construction management and relocation services for the on-going restack and renovation of space at the Cambridge Center buildings as well as One Hampshire Street & One Kendall Square. 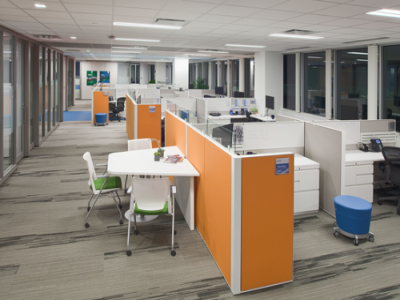 Projects have included architectural walls, raised access flooring, private and shared workspace, collaboration spaces, lobby upgrades, computer labs and office furniture. 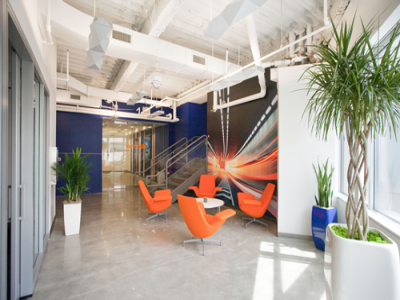 In process since 2007, the project has impacted over a 1000 employees across an excess of 200,000sf and continues to grow. All renovations are being conducted to meet the standards of the USGBC and to date, four floors have been certified LEED Silver.